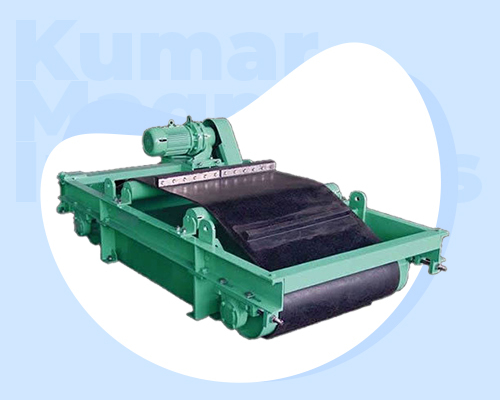 Overband Electromagnetic Separator has a huge demand because it has the ability to remove ferrous substances mixed in feeds to ensure that magnetic properties work well. Also, it may ensure that no other parts of the device will get damaged during processing. Jupiter Magnetics Private Limited, being one of the most reputed Overband Electromagnetic Separator Manufacturers In Delhi has a comprehensive range designed according to requirements defined by our clients. These are mainly used across a conveyor belt or in sequence over the head pulley. If you have any particular demand regarding the product according to the specifications demanded in your industry, feel free to contact us. Being one of the prominent Overband Magnets Exporters and Suppliers In India, we not only give you assurance about the product quality but prompt delivery as well. For further details, get in touch now.